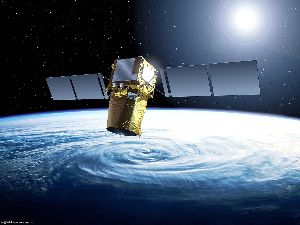 On Friday 30th November 2018 the Prime Minister, Theresa May, announced that the UK will no longer seek access to secure aspects of Galileo, the EU’s Global Satellite Navigation System (GNSS). This followed extensive negotiations between the UK and the EU over the extent of involvement that the UK’s national security, defence and critical national infrastructure sectors will have in the development of the secure system, as well as the level of industrial participation for the rapidly growing UK space sector – since 2012 this sector has grown by 71%. At the heart of this tricky issue is the UK’s future involvement in the development of the encrypted Public Regulated Service (PRS) for Galileo, which is designed especially for government-authorised users. While the UK will still be able to access the secure side of Galileo presuming a security agreement is agreed, it was the UK’s exclusion from the development of the PRS that led the Government to conclude that it would not be in the UK’s security interests to use the system. Instead, the Prime Minister has now confirmed that the UK will press ahead with developing a British GNSS, including an open and an encrypted service, that will be compatible with the existing US GPS system. The UK space sector is a world leader in satellite manufacturing and innovation in satellite applications and technology, so it has the capability to face up to this challenge. 40% of all small satellites currently in orbit are UK-built. The UK also manufactured all the satellite payloads for Galileo to date. The UK space sector therefore is well placed to respond, not least through the £92m investment that was announced earlier this year by the Government to explore viable options for a replacement British system. Working jointly with UKspace, a fellow trade association for the UK space sector, ADS is proud to represent this dynamic sector. At Farnborough International Airshow this year, which is owned by ADS, it was announced that the first vertical launch site in mainland Europe will be built in Scotland. To continue to build on this success and meet the UK’s ambitions to grow this sector to 10% of the global space-enabled market by 2030, the Government must work closely and quickly with industry to make sure that advanced and valuable UK capabilities in this area are sustained.